People come to Denver for the nearby mountains and spectacular natural beauty, the craft beer, the outdoor lifestyle, and a mild climate with abundant sunshine, but what they also discover is how walkable it is. You can explore culinary treasures, history that goes from the time of the dinosaurs to the founding of the Centennial state, and unique culture of the west in Walking Denver. 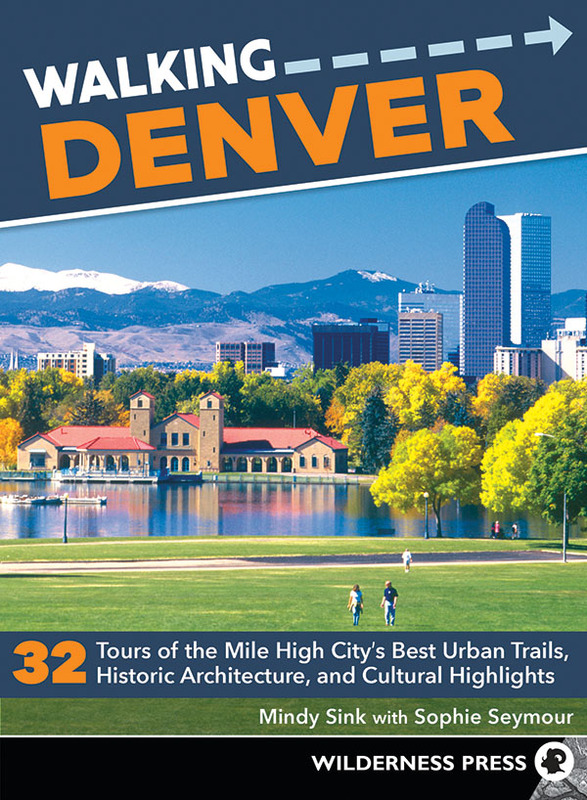 Author Mindy Sink guides readers—whether they are first-time visitors or natives—on 32 diverse walks through the heart of the city, up into the foothills of the Rocky Mountains, and across the eastern plains. Find the spots where the city reaches 5,280 feet above sea level, giving the city its nickname of the Mile High City; tiptoe through historic cemeteries and learn of those who shaped Denver in its early days; explore the arts in the Golden Triangle and Arts District on Santa Fe neighborhoods; plan for a half-day outing to the famed Red Rocks Park and Amphitheatre, as well as nearby Lookout Mountain Nature Center & Preserve; visit the state’s first capitol with a stroll through downtown Golden; and much more. For this new edition, Mindy’s 11-year-old daughter, Sophie Seymour, has contributed “Kid Tips” to select walks that are most suitable for families. Sophie highlights the elements of these walks that will most appeal to kids—playgrounds, wildlife, and activities along the way. Not only is the whole family getting some exercise, they are learning together about history, art, architectural trivia, and what makes Denver so engaging. For updates go to www.wildernesspress.com. "Denver literary guide Mindy Sink wrote for the New York Times for more than ten years of her writing career, but it is her Denver home that she returns to most often in her books. Last year, Sink exercised her feet and her time researching the city's best walks for her latest book, Walking Denver, a list of thirty walks that venture from the heart of Denver up into the foothills." Fantastic Fall Walks for Families: Author Mindy Sink highlights some favorite walks from "Walking Denver" (2nd edition) that are just right for families who want easy walks full of the color of the season and a little adventure. Click here to read. "Mindy’s clear and entertaining guide shows that she not only walked all of these routes (which I know is a fact!) but also she walked the routes with families and entertainment in mind." Sophie and I will be walking and talking! Click here for details. We talked about the book on Fox31 Morning Show! Click here to watch.